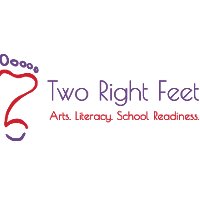 Two Right Feet Arts creates highly interactive learning programs for children to explore reading, literacy, and language through music, dance, and books. Our enrichment programs stress reading readiness, literacy, and language development for children pre-K through third grade. Two Right Feet began at a children’s rehab center in White Plains, NY and a Head Start Center in Port Chester, NY in 2000. Susan Demmerle, our founder, was a speech and language pathologist with a degree in dance. She practiced as a speech therapist working with children who had special needs. Susan soon realized her specially developed programs for special needs students could also apply to mainstream education. She was joined by her husband Garrett, a musician and lyricist and Two Right Feet was born. Two Right Feet branched off into regular education for the pre-k population, and then children from birth to 3rd Grade - the 'literacy and language sweet spot'. Key program features include: - Live music - Introduction to American Sign Language - Storytelling - Books read to music - School readiness - Literacy games - Creative dance - Musical instrument experimentation The programs are tailored and graded for each respective children's audience based on age, cognitive level, and abilities. After Susan passed away in 2012, Hannah took over the full time role of program director, developer, and session leader. Hannah Demmerle: Develops the curriculum, and implements the interactive programs. She is also the session leader who shares her mother's passion for dance and storytelling. Hannah enjoys using what she’s learned studying occupational therapy and is a Certified Occupational Therapist Assistant (COTA). Garrett Demmerle: A talented musician, bassist, lyricist, and music teacher with over 40 years experience. Garrett provides the live music and many of our program’s lyrics for Two Right Feet. Our programs are featured in public and private schools, after-school programs, libraries, Family Resource Centers, Head Start Centers, private pre-schools, Montessori, and Magnet schools in NY, CT, and MA. Each program session (class) features a different educational theme to reinforce learning of different educational concepts. Two Right Feet's fun and exciting program themes are listed in the database and program website.